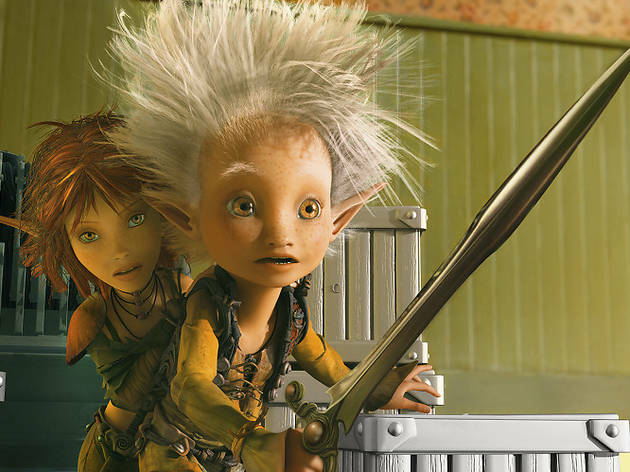 This lacklustre transitional chapter in Luc Besson’s trilogy of garish live action-animation hybrids aimed at very young and/or easily pleased concerns the efforts of young Arthur (Freddie Highmore) to ensure the livelihood of a fraternity of thumbnail-sized, spiky-haired sprites, the Minimoys, who reside in his grandparents’ garden. The animation has plenty of pep and sparkle and individual moments verge on the impressive, but the whole affair feels depressingly half-cocked, not least the mysterious plot device of only revealing the purpose of Arthur’s journey in the final five minutes. Snoop Dogg makes an appearance as an emaciated, dreadlocked sidekick, and for all those tots who like nothing more than to take their milk and rusks to the strains of ‘Metal Machine Music’, Lou Reed lends his voice to miscellaneous, cackling bad dude Maltazard. 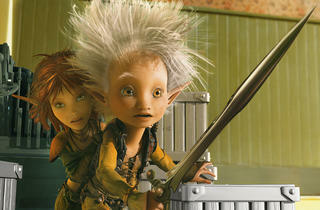 A wonderful and imaginative film for children and adults alike. Switching from a strange but beautiful world of animation to an often unreal reality of absurd personalities, that seem to have been pulled straight out of the anodyne world of a bad kids TV drama/comedy (Rent-a-ghost comes to mind), we are treated to an intelligent and superb dialogue that gives gravitas and depth to the whole adventure. To say that it is 'lacklustre' and 'halfcocked' is at once shortsighted and would seem to miss the whole point of the non-conforming dark and creative vision we are given by the director. And which would seem to be the antithesis of many of the oversentimentalised disney blockbusters we are now awash with. Brilliant fun and family adventure with a little romance chucked in. Well deveoped characters and even the villains ahve an endearing side to them. Recommended for anyone who has an imagination.